Saturday, April 27, 2019 | 8 a.m. to 1 p.m.
Women Build is Habitat for Humanity’s initiative to empower women to address the affordable housing crisis in our community. The event is a fundraiser and friend-raiser for Habitat for Humanity of Broward. Funds are needed to meet costs to build modest, energy-efficient, 1200-1280 square foot homes in the Rick Case Habitat Community. The Community will be the first of its kind in Broward County and will have 77 homes consisting of 42 one-story homes and 35 two-story homes. There will be 5 different models with 3-4 bedrooms. Habitat for Humanity of Broward, celebrating 35 years of service to our community, will partner with over 110 top executives and women employees from Broward County companies including Rick Case Automotive Group, Stiles Corporation, Bank of America, Miller Construction, Wells Fargo and the Wadsworth Family Foundation. Women Build is co-chaired by Nancy Daly, former board member and longtime Habitat advocate, and Raquel Case of Rick Case Automotive Group. The Sponsor for the final Women Build this year is Rick Case Automotive Group. Lunch and our DJ are courtesy of their generosity. The Case family have been longtime supporters of Habitat Broward starting in 2004 and joined the Women Build event in 2010. 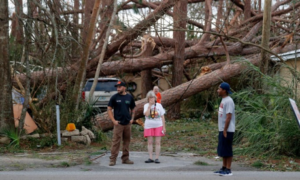 “A Rick Case Habitat Community; is the largest single-family affordable homeownership community undertaken by a nonprofit in Broward County to date,” shared Nancy Robin, CEO. Broward is among the most cost-burdened housing markets in the nation. Habitat serves those earning 30% to 80% of the area median income. These are hard-working grocery clerks, healthcare workers, public safety personnel and even teachers whose rental costs consume more than 50% of their monthly income. For more information on the Women Build event, the Rick Case Habitat Community or Habitat Broward, please contact Robyn Harper Habitat for Humanity of Broward at (954) 396-3030 ext. 228. For additional information, please visit Habitat Broward’s website at www.habitatbroward.org. Since its founding in 1976 by Millard and Linda Fuller, the grassroots movement of Habitat for Humanity has grown from improving the housing conditions on a small Georgia farm to empowering nearly 10 million people worldwide to meet their housing needs. The Jimmy & Rosalynn Carter Work Project has helped to elevate this international housing organization to become Brand of the Year, Most Loved and Most Trusted brand in the social services nonprofit category in the 2016 Harris Poll EquiTrend® Study. 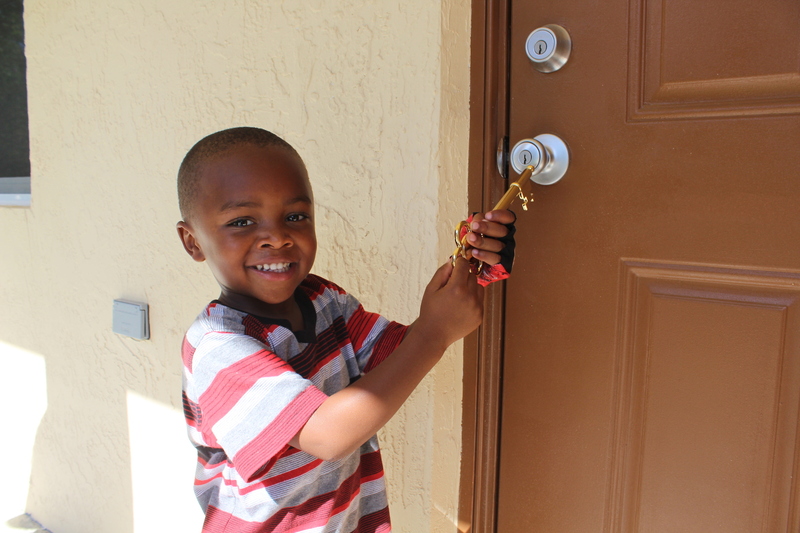 Habitat Broward was founded in 1983 to serve the housing needs of low-income residents of Broward County. Using Habitat for Humanity’s proven and sustainable partnership housing model, Habitat Broward addresses the critical need for housing in Broward County by bringing every community sector together to build and renovate 20-25 homes per year alongside people in need of decent, affordable housing. 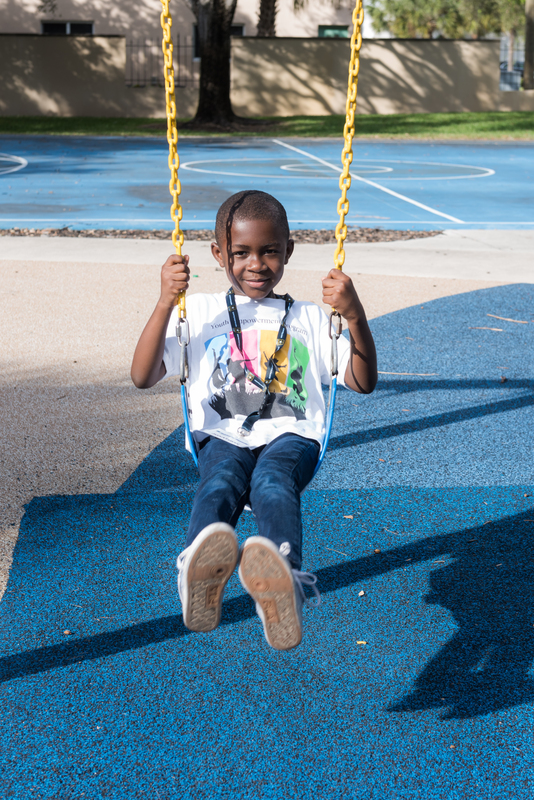 To date, Habitat Broward and its community partners have empowered over 400 hardworking families to build strength, stability, and self-reliance through affordable homeownership. A study by NYU Furman Center and Capital One found that the Miami metro market, which includes Broward County, was the least affordable rental market to the typical renter in the nation’s 11 largest metro markets studied (Renting in America’s Largest Metropolitan Areas. NYU Furman Center/Capital One National Affordable Rental Housing Landscape, March 8, 2016). The 2017 America’s Rental Housing Report by the Joint Center for Housing Studies of Harvard University confirmed that among the nation’s largest metro areas (with population >1 million), the Miami metro market had the highest percentage of housing cost-burdened renters (61%), as well as the highest percentage of renter households spending over 50% of their income on rent (36%). Habitat Broward received 7,506 online inquiries to fill 18 available slots in the fall of 2017. A Rick Case Habitat Community in Pompano Beach will provide affordable homeownership opportunities to 77 deserving families. It has taken more than a decade to acquire land and develop a community-informed plan for the nine-acre site located at the SW corner of NW 15th St. and NW 6th Ave. adjacent to a high school and church. The total project is estimated to cost over $18 million— funds that will be raised and leveraged through partnerships with corporations, foundations, government agencies, the faith community and generous individuals. Ed Ansin and Rita and Rick Case of Rick Case Automotive Group have provided much of the initial funding for the infrastructure. The project is also made possible by the Mary N. Porter Legacy Fund of the Community Foundation of Broward which awarded us a $1M challenge grant, and the City of Pompano Beach. The Hudson Family Foundation, Burdette Beckman, Inc. and the Robert Taylor Family, the Wadsworth Family Foundation and the Elizabeth Peters Estate are also major contributors. A portion of the infrastructure work is generously being donated by the US Army 766 Engineer Company. Home construction is slated to begin in late fall 2018 and will take approximately five years to complete under the leadership of Habitat Broward’s experienced construction team. The construction process itself is estimated to cost $14.5 million to complete using a mix of volunteer and subcontracted labor, thus creating jobs and injecting funds in the local economy. Contact Barbara Witte of Habitat for Humanity of Broward at (954) 396-3030 x 211 or barbara@habitatbroward.org. Additionally, please visit Habitat Broward’s website at www.habitatbroward.org. Habitat for Humanity of Broward is so excited to share that we have been selected to be a part of the Community Bag Program at the Winn-Dixie, located at 3800 North Ocean Boulevard, for the month of April! The Community Bag Program is designed to make it easy for customers to contribute to their local community while supporting the environment. During the month of April, each time a reusable Community Bag is purchased at the Winn-Dixie, located on 3800 North Ocean Boulevard, $1 will be donated to Habitat Broward, unless otherwise directed by the customer through Giving Tag. 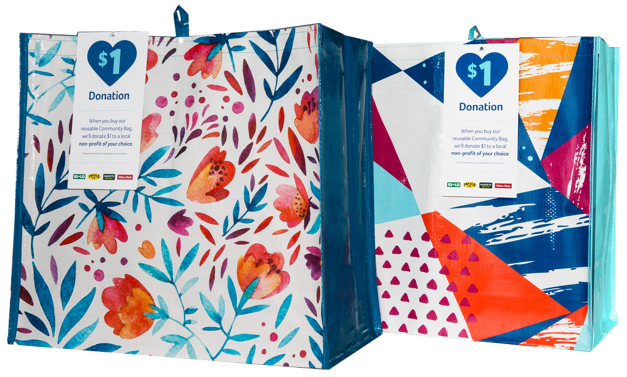 To get started, visit the Winn-Dixie location and find the two colorful Community Bags with the blue heart tag, found on the reusable bag rack. Use this reusable bag every time you grocery shop and you can help raise awareness, support the environment, and fundraise to help our Habitat Broward families achieve their dream of homeownership. Let’s get started! Bring a friend or family member on your next grocery trip and help make a family’s dream of homeownership a reality. You Don’t Have to be in Washington D.C. To Participate in Habitat on the Hill! Director of Community Outreach and Program Services, Marcia Barry-Smith and Director of Development & Marketing, Barbara Witte will go to Washington D.C. 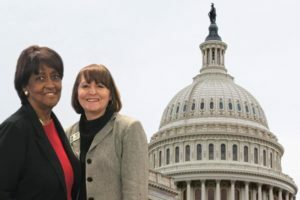 This year, our very own Marcia Barry-Smith and Barbara Witte are in D.C. and you too can participate in Habitat on the Hill with our first Virtual Hill Day! We need you to advocate from afar in support of the Self-Help Opportunity Program (SHOP), which helps Habitat for Humanity acquire land, purchase foreclosed or abandoned properties and improve infrastructures, and the Home Investment Program (HOME), which provides funding for a range of affordable housing intitiatives! Prepare your community of advocates for our Virtual Hill Day by sending out a quick email blast, providing background on the unique federal programs that support affordable housing in your community. Use our pre-populated email action form to communicate with your represenatives in Congress via email or phone call using the contact information below. When you introduce yourself to legislatures or staff members, be sure to mention that fellow advocates have traveled to the Hill from around the coutnry to advocate for affordable housing. By calling in, you are joining them! For Oakland Park area, email Congressman Alcee L. Hastings (@RepHastingsFL) at Alcee.Hastings@mail.house.gov or (954) 733-2800. For Sunrise area, email Congresswoman Debbie Wasserman-Schultz (@DWStweets) at Debbie.WassermanSchultz@mail.house.gov or (954) 845-1179. For Pompano Beach, north Broward and Boca Raton areas, email Ted Deutch at Ted.Deutch@mail.house.gov(@TedDeutch) or (561) 470-5440. For Pembroke Pines area, email Frederica Wilson (@RepWilson) at Frederica.Wilson@mail.house.gov or (954) 450-6767. For Senator Rick Scott (@SenRickScott) email help@rickscott.senate.gov or (202) 224-5274. For Senator Marco Rubio (@marcorubio) email marco_rubio@rubio.senate.gov or (202) 224-3041. Thank you for joining us. Welcome to the Hill! https://www.habitatbroward.org/wp-content/uploads/2019/02/Screen-Shot-2019-02-12-at-1.57.44-PM.png 271 484 Habitat Broward https://www.habitatbroward.org/wp-content/uploads/2017/10/HHB_menu_logo_lg.png Habitat Broward2019-02-13 12:52:562019-02-13 13:38:10You Don't Have to be in Washington D.C. To Participate in Habitat on the Hill! In December 2018, Habitat for Humanity of Broward was awarded the coveted 4-star rating from Charity Navigator for transparency, financial responsibility, and a proven commitment to accountability. As the nonprofit sector continues to advance and develop, so do the interests and desires of supporters, who are constantly seeking greater accountability, transparency and quantifiable results from the charities and organizations they choose to support. In the competitive philanthropic and nonprofit sector, Charity Navigator highlights and evaluates the work of efficient, ethical, financially responsible and open charities. As America’s premier charity evaluator, Charity Navigator intends to provide donors with essential information for increased confidence in the charitable decisions that they make within the nonprofit sector. Habitat for Humanity of Broward’s high rating from Charity Navigator highlights our commitment to ethical practices, efficiency, and good governance. We strive to provide homes to families in need in a financially responsible manner. 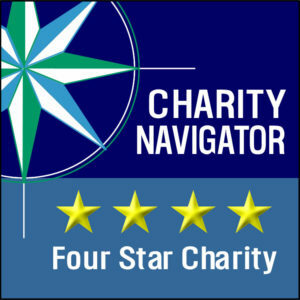 Charity Navigator evaluates ten times more charities than their nearest competitor and attracts more visitors to their website than all other charity groups combined. Our four star ranking for four consecutive years places us among the top 16 percent of charities in the United States. There are charitable organizations where partnership is central to the mission. Habitat for Humanity is one of them. Our mission calls us to “bring people together.” The reason is simple. We build more than houses. We build homes, communities and hope. We build strength, stability and self-reliance. In our 35 years, with your help, we have built homes and communities that have provided shelter and a decent place to live to 430 families and more than 1600 people in Broward, plus another 77 families and 300 people across the globe. Children go to local schools and build lifelong friends. Neighbors help neighbors. Parents return to school to advance their careers and students seek higher education and find their own path to self-reliance. WHAT: Habitat for Humanity of Broward’s ReStore is holding a weeklong “Black Friday” sale which will feature 25 percent off on all merchandise. Habitat Broward ReStore is a non-profit, discount, retail outlet that sells reusable and surplus building materials, gently used furniture, appliances and more to the public at a fraction of their original price to support Habitat’s mission to build homes, communities and hope for low-income families in need of affordable housing. WHEN: Monday, November 19 through Friday, November 24 | 9 a.m. to 6 p.m.
Nancy Robin, Habitat Broward CEO (center) participates in panel at workshop presented by the Broward Housing Council, October 26, 2018 to discuss affordable housing strategies and solutions. We hear a lot about the affordable housing crisis, but what does that really mean? At a recent workshop by the Broward Housing Council, it was defined by the numbers. In Broward, it means that 62% of our residents spend more than 30% of their monthly income on housing. 36% spend more than 50% of their income on housing. 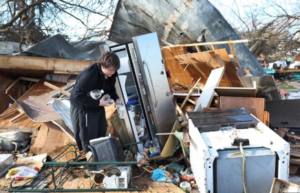 This leaves little else for healthy food, transportation, clothing and medical care. To see more statistics, click here. Broward County has proposed the creation of an Affordable Housing Trust Fund, to tackle the high cost of housing for our customer service personnel, health care workers, teachers and more who fall into the affordability gap. In fact, Broward has the largest affordability gap in the U.S. when we combine housing and transportation costs vs. income. The Affordable Housing Trust Fund will develop programs and solutions to close this gap and make housing more accessible to the workers and fellow residents upon whom we rely every day. That is why Habitat votes “YES” for the Broward County Affordable Housing Trust Fund.